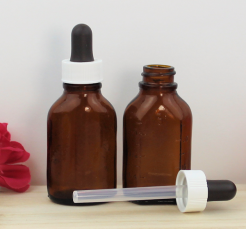 Pipettes and Droppers - You only need "drops" of essential oils. A supply of Disposable Plastic Pipettes are always handy when you are blending and diffusing your essential oils. Our latest addition of the fine tipped pipettes is something that several customers have been requesting for quite some time. Well, we finally found a supplier for these extremely helpful disposable pipettes. Plan that the Regular Disposable pipettes will measure about 20-25 drops per mL and the Fine Tipped will measure about 45-50 drops per mL. Although they won't work well with the more thick (viscous) oils, they are great when you only need a drop of Rose Otto or any of the other essential oils that are so precious. You can easily draw out of a 2ml or sampler vial without wasting yours oils.